Baby Death Accident Compensation: UK fatal road accident solicitor sets out how to claim compensation for the death of an infant in a car accident caused by another driver. Find out in a question and answer session how to claim compensation for a baby death accident in a road traffic collision, the type of loss that can be claimed with links to an explanation of the claims process that should be followed by parents of the deceased. My husband and I and our two children (aged 6 years and 7 months) were travelling in London when a van travelling in the opposite direction to ourselves lost control, swerved onto our side of the road and hit our car head on. Both children were secured in the back seat – our oldest child was sitting in a child restrained seat and our baby daughter was is in an infant seat positioned in reverse as the seat must be. The collision caused our car to be pushed into a lamppost on the near side colliding close to the rear passenger door where our baby was secured. The police, ambulance and fire brigade attended – and we were all taken to hospital quite badly injured. Two days later – our baby daughter died from her injuries. The driver who hit us was a young driver and had been using his mobile phone when he lost control. He was also seriously injured. There was CCTV of the accident and the police are prosecuting the young driver for causing death by dangerous driving. We wish to claim for our injuries and also want to know if we can claim for our baby daughter who was killed? Given the accident circumstances it seems clear that you would all have a claim for your respective injuries. This claim would be made against the other driver and his motor insurer. Should the other driver not have been insured – you would have a claim from Motor Insurers Bureau. There would also be a claim (mostly likely by you and your husband) for the death of your baby daughter. The main heads of loss you could be entitled to include a bereavement loss (for the pain and suffering for the loss of your daughter); a claim for funeral expenses and, as your daughter survived the accident before dying, there would be an additional claim made on behalf of her estate for pain and suffering prior to death. 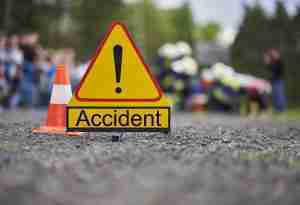 To see the articles I have written setting out how to claim for a fatal accident, including fatal accident compensation amounts and who is entitled to claim, click fatal accident claims. If you wish to discuss free of charge your potential personal injury claims for your family and a baby death accident claim for the loss of your daughter – click road accident claims to access our online legal help options and free telephone call back service.